The Hitting Zone offers serious professional training to help you take your game to the next level! Our instructors have years of college and/or professional experience, exhibit high energy, a positive attitude and are passionate about the game of softball and baseball. 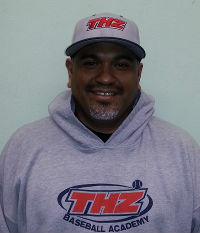 THZ instructors have the ability to communicate with players of all ages and skill levels, identify their strengths and weaknesses, and work to improve a player's performance. We are committed to helping each player achieve their objectives and goals.